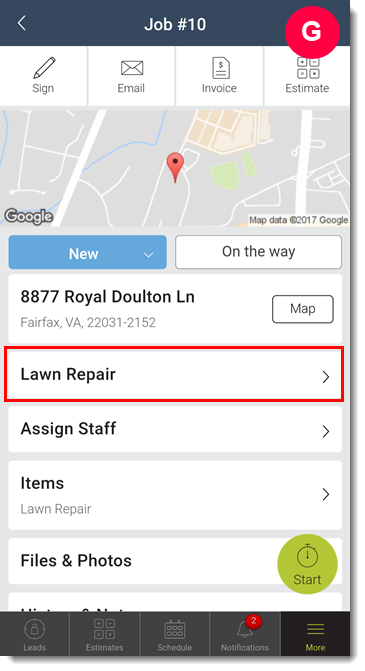 Need to capture additional or customized information on your jobs? Then custom fields are perfect for you! 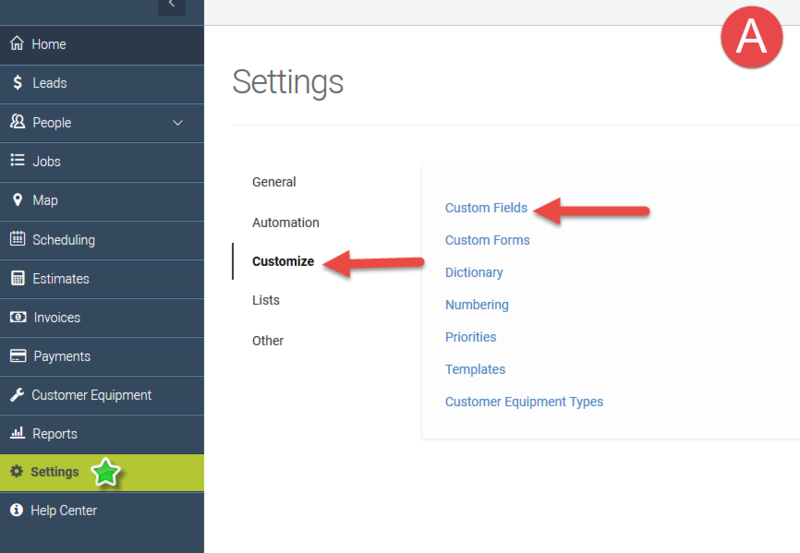 The Group dropdown list (1) is used to specify which group of custom fields you would like this field to be added to. 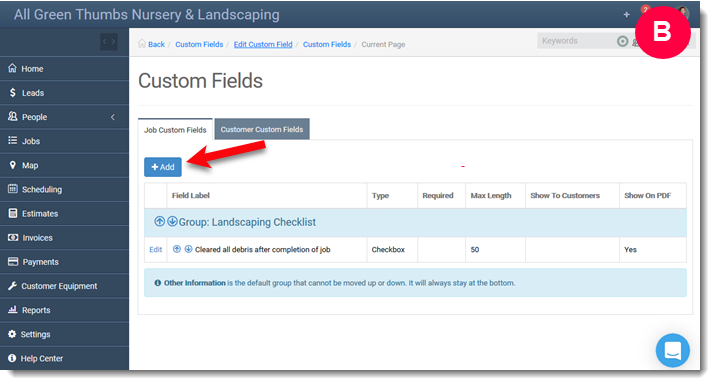 The Custom Field text field (2) is where you will indicate what you'd like to name your custom field. Field Type (3) lets you choose what type of field you're creating. These types include Text, List, Yes/No, Checkbox, Date, Encrypted, and ReadOnly. NOTE: Once the field has been created, you will not be able to change the field type. 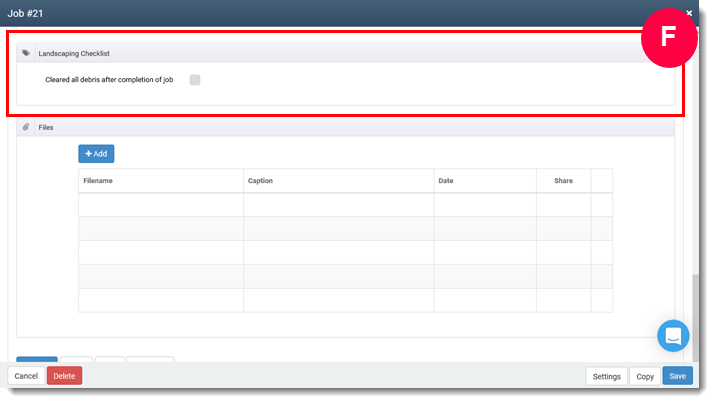 Required (4) allows you to indicate whether or not this field is required for the person creating the job ticket. 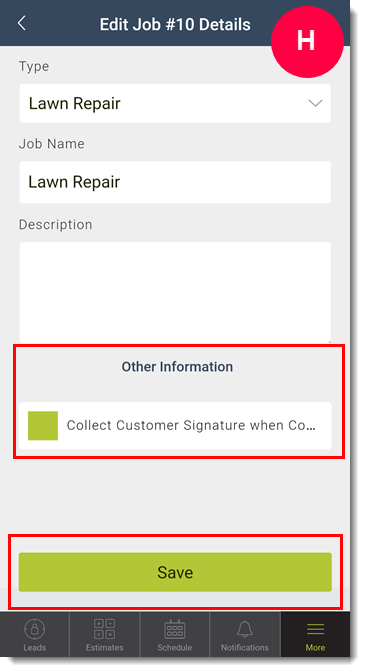 Show to Customers (5) allows you to share this field and/or its contents with your customers using our different website integration options. 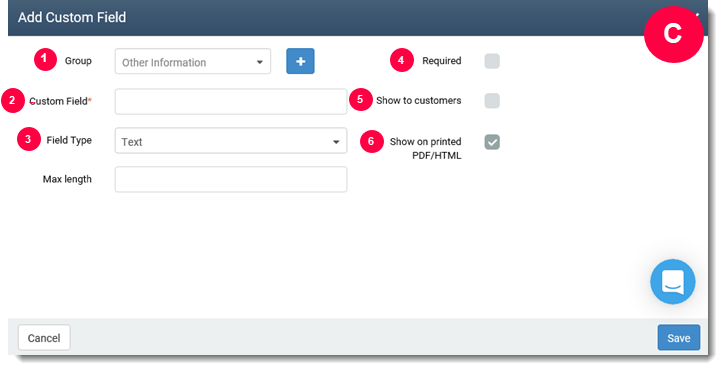 Show on Printed PDF/HTML (6) lets you specify if you'd like this field and/or its contents to appear on any customer-facing documents. Press Save when you are done making your changes! 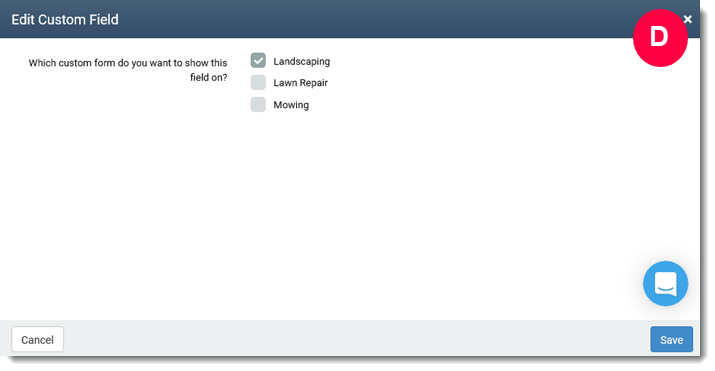 When you've created your field, the software will ask you which job forms you'd like to add it to! (screenshot D) Select one or several job types, then press Save. NOTE: This step will not occur if you do not have Custom Forms turned on in your mHelpDesk account. You're now well on your way to managing your data and organizing your jobs using mHelpDesk!